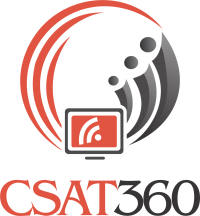 CSAT360 is a pioneering digital platform committed to enhancing the discipline of Excellence in Customer Experience Management. The commitment is towards greater sensitivity to Customer Centricity and facilitate every possible thought process to achieve greater confidence of customers in their providers. This platform attempts to bring together all elements of the Eco-System that renders Customer Experience. We also have parallel services providing learning and development as well as placement of Customer facing professionals. We have another arm that works towards market research focused around customer experience measurement and feedback management. Though formally launched as a company in 2012, we are in the business of customer research studies since 2005 and have professionals manning the responsibilities from varied sectors such as BFSI, Telco, Media , Retail, Hospitality and Healthcare. We are headquartered in Mumbai but enjoy maintaining a virtual presence across locations. Through CSAT360 we bring together the views and opinions of Industry professionals in this space and provide insights into understanding Customer Behaviour and Expectations in this ever changing global market. 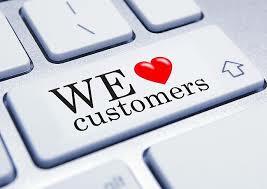 Read on and share your views with us and help us keep all our customers happy!